Entries are now open for the prestigious Food & Drink Devon Awards 2017, following 2016’s record-breaking year. These awards celebrate the very best Devon has to offer by recognising the county’s most respected, influential and passionate artisan food and drink producers and establishments. The awards, currently in their seventh year, continue to grow with 2016 recording the highest number of entries to date as well as boasting a glittering sell out awards evening. Last year the judges tasted 200 of the finest products and visited dozens of establishments across Devon to select the pick of the crop for a shortlist of just 60. The awards cover a broad spectrum of categories across the Devon food and drink scene. The Retail awards on offer include ‘Best Producer’, ‘Best Packaging’, ‘Best Retailer’ and ‘Best Online Retailer’. Whilst the Hospitality sector is also acknowledged with a number of highly sought after awards including ‘Best Fine Dining Restaurant’, ‘Best Hotel Restaurant’, ‘Best Restaurant’, ‘Best Bistro’ and ‘Best Takeaway’. This year, to reflect the growth of some key areas within the industry, we have added three new categories, ‘Best Street Food’, ‘Best Farmers’ Market’ and ‘Best Cookery School’. Closing date for entries is Friday 21st April. Judging will be carried out by a panel of experts, including a number of celebrated names from the industry, and will take place over the following three months. All entrants will be able to benefit from invaluable product feedback provided by the panel. The winners will be invited to collect their awards at a dazzling black tie ceremony in October. Kind sponsors of this year’s Awards include Luscombe Drinks, Stephens Scown Solicitors, Peplows Accountants, RAW PR & Marketing, Thornes Farm Shop, InkREADible Labels, Hedgerow Print, Black & White Asset Finance and Taste Buds magazine. Food & Drink Devon works tirelessly to increase the county’s profile, both nationally and internationally. 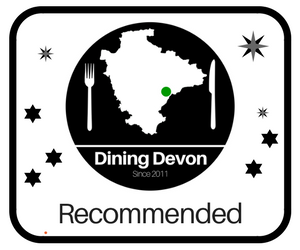 Food & Drink Devon – ‘Love the Flavour’ represents a membership of like-minded businesses, dedicated to providing good quality local food and drink. The Food & Drink Devon association is committed to continuously achieving its mission – to make ‘Love the Flavour’ a nationally recognised brand for outstanding sustainable food and drink. For more information on Food & Drink Devon please visit www.foodanddrinkdevon.co.uk and follow @lovetheflavour on Twitter. For further information about the Awards or to enter please contact Ali Neagle on 07789 666064 or email awards@foodanddrinkdevon.co.uk. Devon Producer Taste Awards– for individual items produced by primary and secondary producers. Overall best Devon Producer Award– for primary and secondary producers. Devon Producer Packaging Award– for primary and secondary producers. Taste of Devon Hospitality– for restaurants, cafés, bistros, pubs and street food. 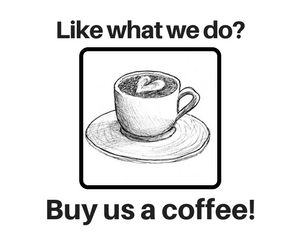 Devon Retailer– for farm shops, delis, food halls, other food shops and online retailers. Best Farmers Market– open to all Farmers Markets across Devon. Best Cookery School – open to all Cookery School across Devon.